View cart “85mm Stainless Thermowell” has been added to your cart. Weldless heater element for electric brewing systems. Requires a 32mm hole in the brewing vessel. Easy to set up, seals perfectly. 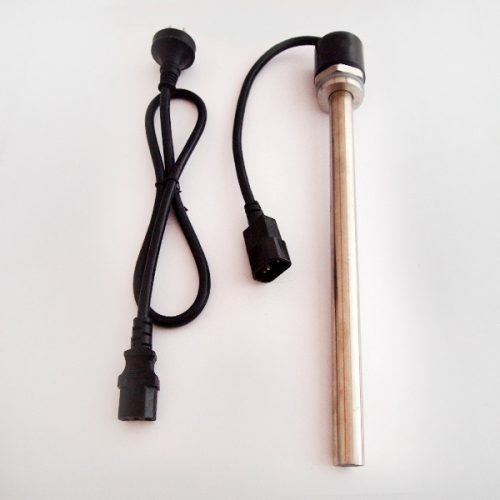 These heating elements are powerful and perfect to make use on your boiler. The element is made from 304 grade stainless steel. This element is a weld free design meaning that you can easily install it by simply drilling a hole in your pot/keg/boiler of approximately 32mm and tightening a nut from the outside of the pot. The diameter of the element at the widest point is 38mm so it is ideal if you need to pass the element through the neck of a keg to make a keg boiler. This element also works extremely well with our RIMS Heat Stick Heat Exchanger Housing if you are planning on making a RIMS recirculating system.